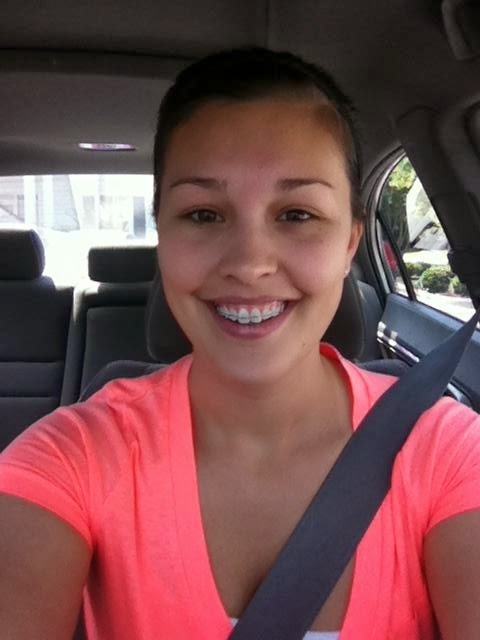 Texan Girl Talks: BRACE FACE! Yes, this Texan girl is a brace face. Don't worry I wasn't trying to hide it, I just don't have too many pictures of them, and I'm not really a fan of the selfie (except for this one, had to show my mom who still lives in Texas!) I was never able to get braces when I was younger, because my parents definitely couldn't afford it. My husband was so wonderful to help me get them! I am about 8 months in to my treatment and CAN'T WAIT until December (supposedly the time i'll get them off). I don't ever get the colored bands, just the clear ones, because the tops are ceramic anyways. I feel because i'm older and am in a nursing program, it would look more professional. 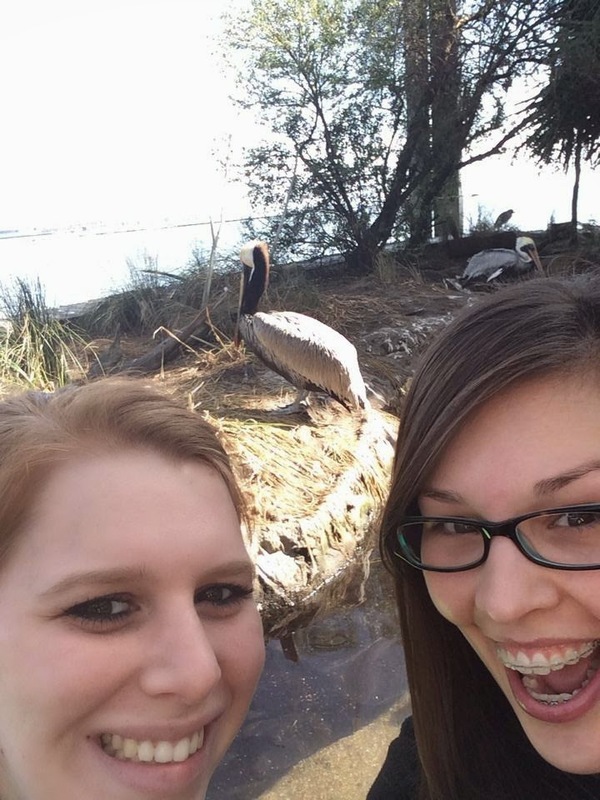 Me and my sister in law, Jordy at the SC Aquarium. You definitely brush/floss your teeth like your supposed to... my dentist was quite impressed. People constantly think I'm younger than 22. Hell, I'll take that!! HA! I have an excuse if I have something in my teeth! I hope everyone has a fabulous friday!!! I feel a Netflix binge coming on... Oh Revenge. You get me every time. How old were you when got braces? Young? Older? Did anyone get the crazy colored bands? How many people actually still wear their retainer? !